Hair loss affects about 35 million men and 21 million women in the United States alone — 40 percent of men have noticeable hair loss by age 35 and 65 percent of men by the age 60. Hair transplant clinics in the Philippines have developed a team approach to hair transplantation. With over 40 years of combined experience in the hair loss industry, hair transplant surgeons understand that it takes a full team of experienced doctors and medical assistants to produce superior service and results. Premier clinics in Manila and Makati City are giving hair loss patients the complete quality of care, and the world’s most unsurpassed hair transplant treatments at affordable costs. Hair loss surgeons in the Philippines are creating the ultimate solution to hair loss for men and women — and applying the most advanced technology to the current techniques in hair restoration. Nu/Hart Hair Transplant Clinic in the Philippines promises clients — the world’s finest service and quality care, natural results, and,to meet the expectations of each and every client. Nu/Hart has performed over 30,000 hair loss procedures and practices in over ten clinics worldwide. -- Nu/Hart is a world leader in hair restoration. -- Nu/Hart has over 25 years of experience in the industry. -- Clients from over 40 countries have enjoyed the benefits of Nu/Hart. -- Our web site is viewable in four languages (English – Spanish – Arabic – Chinese), while our worldwide staff speaks more than a dozen languages, including: English, Spanish, Portuguese, Arabic, Marathi, Hindi, Urdu, Chinese (Mandarin and Cantonese), Tagalog, Taiwanese, Hungarian, Bulgarian, Russian, German, French, Italian, Polish, and Icelandic. -- Medical team consists of 16 experienced physicians who have chosen to specialize in hair transplantation. -- Dedicated staff at each center provide a high level of client care and service. -- Consultations are always FREE and private with no obligation. -- Methods of treatment are technologically advanced, safe, and permanent. -- Nu/Hart explores further options of hair regrowth, such as laser hair therapy, topical treatments, and new surgical treatments. Nu/Hart clinics have been dedicated exclusively to hair restoration since 1984 and are responsible for developing some of the highest standards in the field of surgical hair transplantation. Hair transplantation is the process of removing follicular units from the donor area (the back or sides of your head) and placing it in the thinning and balding area. Hair from the donor area is not susceptible to hair loss and is genetically programmed to grow for the rest of your life. What are your treatment concerns — is your hair loss due to typical male or female pattern hair loss? Do you have age-related hair loss? Hair transplant clinics in the Philippines comprises of advanced surgical specialists who are providing stunning results in hair restoration. Discover hair restoration technology with far less discomfort, without stitches, and a significantly improved recovery time. 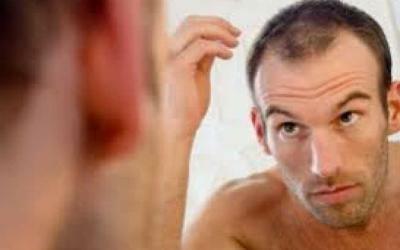 To learn more about hair loss treatments, find a hair transplant surgeon near you.